If Super Meat Boy had left you with a thirst for more precision platforming, Pwnee Studios has got you covered with Cloudberry Kingdom. They claim the game has infinite levels. Can that be true? Cloudberry Kingdom was part of a Kickstarter campaign back in 2012 and managed to get successfully funded. Before Pwnee came to Kickstarter, they had already been working on the game for over three years. In essence, the game is a love letter to games from the creators’ youths, making references to franchises like Mario, Megaman and Sonic . 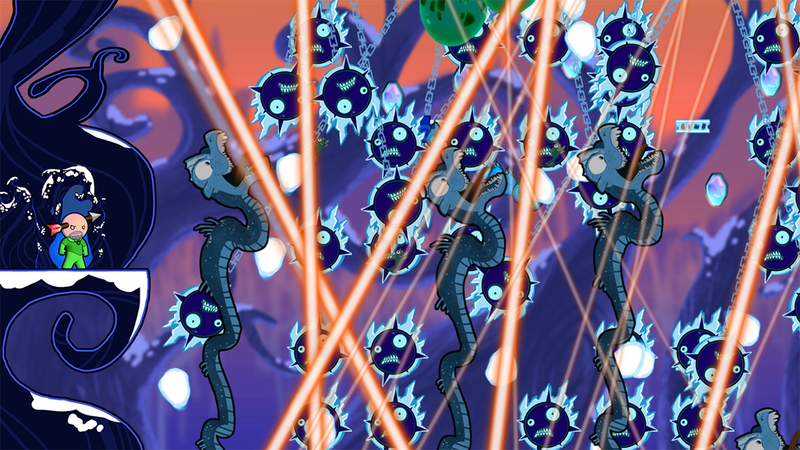 Storywise, there isn’t much to say as Cloudberry Kingdom doesn’t actually have a real story. Its main selling point is the infinite level generator. There is a Story Mode however – with levels designed by the developers themselves, not their generator – but it’s simply about rescuing a princess; a task our hero Bob isn’t very enthusiastic about, as is explained in humorous cutscenes. In all fairness, when I looked at the first trailer of the game I thought it was implemented in Flash. It has those large, slowly moving backgrounds with the sprites in the foreground seemingly pasted over in random fashion. Very reminiscent of the browser games of years passed. To a certain extent, this is made up for by the great level of customization that can be applied to Bob. Funny hats, mustaches, antlers and other weird things are all available. The cutscenes, however short, have an entirely different style to them. 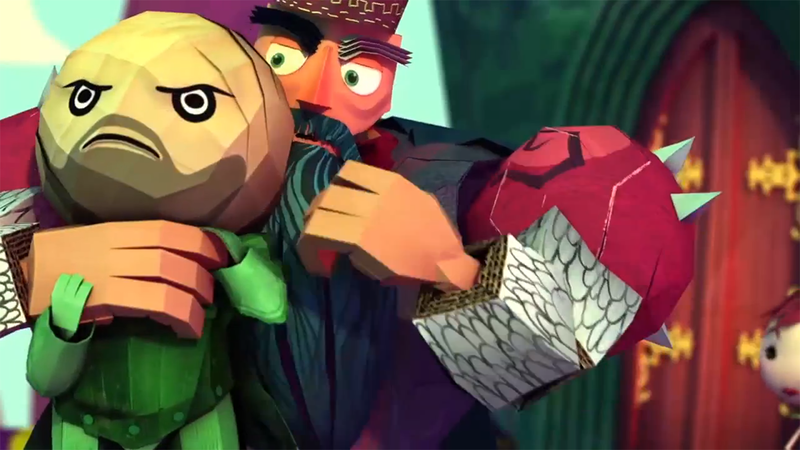 The characters appear to be made from papier-mâché, giving the game a unique and cartoony feel. There are only a few sound effects, and they sound like they’re lifted from a Mario game. Nothing special here. However, for the voice of our protagonist Bob, the developers managed to get Kevin Sorbo. You know, Hercules! When it comes to the music, I can only hope you like drum and bass or find it tolerable at least, because the game only features a few tracks, and they’re all pretty much DnB or heavily influenced by it. In games where the action gets pretty intense, the music can help a lot with the immersion if it speeds up or down according to how intense the gameplay’s getting. Unfortunately, there is no intelligence behind the song selection here. A missed opportunity in our opinion. 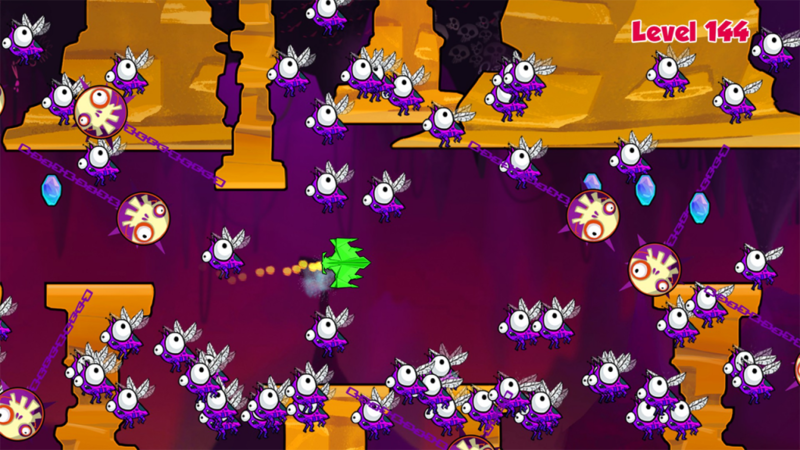 Cloudberry Kingdom’s gameplay is as simple as it is difficult. You can move around and jump, that’s it. The game is about timing, timing and more timing. The variation lies in what obstacles get in your way. Disappearing platforms, laser beams, birds, dragons, circular saws, bees,… Everything is out to kill you. Combine that with the fact that there’s no health bar and you die in one hit and you can imagine you’ll be getting used to starting over from the beginning of the level. The variation isn’t just in the enemies or the obstacles, but also in Bob himself. Bob can transform, so for example there is Tiny Bob, a smaller version of our hero that can get through narrower corridors but has altered movement physics. Big Bob is the opposite, Jetpack Bob can fly and hover for a while, Bouncy Bob can’t stop bouncing, etc. You’ll encounter quite a few variations, there is even one where you turn into a spaceship and you get to shoot up the level. In the Story Mode you’ll go through all of them at some point. The important thing to note here, is that although the game is hard, it’s not hard because of any flaws in the gameplay. The controls are fluent and the levels are well put together, even those randomly generated. You can only die because of a mistake you make yourself. This causes a deep desire to improve yourself the next time and the time after that. The is quite addicting because of that. If you run out of Story Mode levels, there is still a lot to do. There are several different gameplay modes, like the one where you’re constantly chased and speed is key, or the one that’s about surviving the most levels in a row. In these modes, the levels are generated by the game on the fly. You can customize quite a lot of it, like what transformation of Bob you’ll be using or how masochistic the level is going to be. 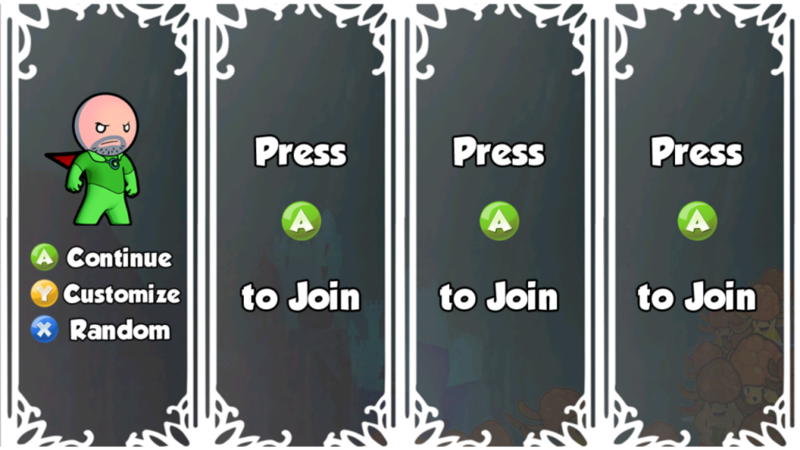 The multiplayer mode is played in splitscreen co-op, for up to 4 players. The goals is to all reach the end of the level, so no bonus points for killing your friends. This does get quite chaotic though, as other players will triggers platforms and other events, that could be potentially lethal. 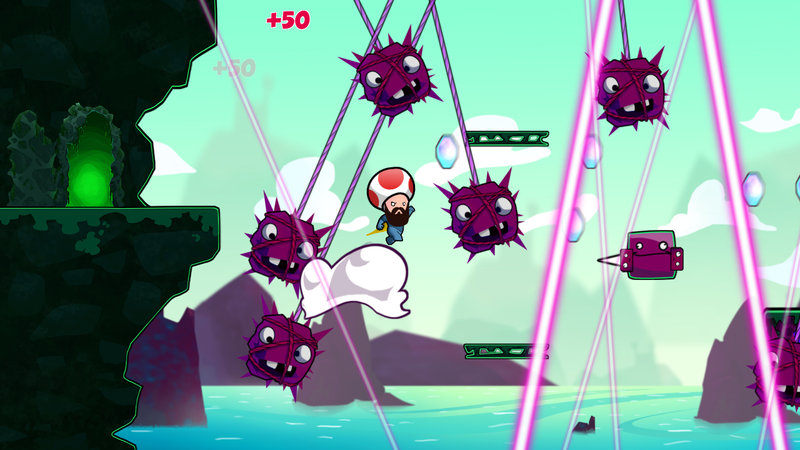 Cloudberry Kingdom is challenging precision platformer with tight controls and an infinite amount of levels because of the great level generator. The difficulty curve is spot on and you never feel like you fell victim to cheap deaths or unresponsive controls. When you die it’s your own fault and that’s what makes the game so addictive. It’ll keep you on your toes and you’ll always want one more try to improve on your previous performance.